When the Open Containers Initiative was first formed over two years ago now, the event appeared at the time to lend a much-needed sense of importance to the matter of how a software container should be formed and formatted. Then last year, Mesosphere began work on what it was described as a Universal Container Runtime (UCR) — a way to leverage Mesos’ format-agnostic methodology for scheduling workloads, to schedule any workload in any respectable format but recognize it as though it were a container. Last month at MesosCon in Los Angeles, Mesosphere formally announced the stable version of the project. And in a wide-ranging discussion, company co-founder and Chief Technology Officer Tobias Knaup offered some further insight on the concept, defining UCR as a runtime inside Mesos enabling it to abstract away the details of a workload from whatever container management system may be addressing that workload. As Mesosphere co-founder and CEO Florian Leibert further clarified, the UCR system sheds light on the pre-existing fact that Mesos was never actually a container-specific workload scheduling system, to begin with. Although The New Stack is as guilty as anyone else of carrying Mesos along in the same bucket with Kubernetes and Docker Swarm (note their proximity to one another in this most recent Cloud Native Landscape diagram [JPEG]), the part that made Mesos recognize containers, to begin with, has always been abstract and decoupled. In this latest iteration, Mesosphere is simply taking further advantage of this decoupling to connect the scheduler with other classes of workloads simultaneously. 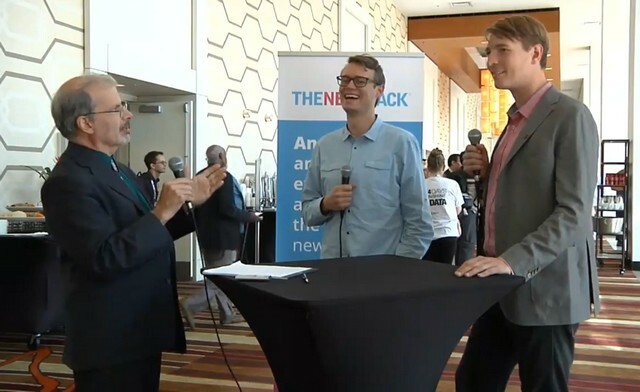 Hear more about Knaup’s and Leibert’s thoughts on this, along with their insights on adopting Kubernetes as a component of their platform, in this edition of The New Stack Makers from MesosCon 2017. 1:19: Exploring the virtues of the Mesosphere Universal Container Runtime. 9:22: Fine-tuning Mesosphere’s DCOS integration with Kubernetes. 14:54: Using Kubernetes on the production line for greenfield and high-availability applications. 18:49: Is the trend toward microservices an absolute necessity for every organization that adopts DCOS? 26:25: How in certain situations where you’re representing a commercial element, how do you help create a community around the SMACK Stack? 27:55: The benefit to adding Kubernetes versus Marathon in the SMACK stack from a functional perspective.